Switzerland Air provides comprehensive air conditioning and heating services throughout the Lake Jackson, TX and Angleton, TX. We are committed to our customers’ complete satisfaction and to the quality of workmanship that we do—this is why we offer a 100% satisfaction guarantee. We take our job very seriously because we know that your home or your business is important to you. We are so serious about our work that if we don’t finish an air conditioning or heating installation job on time, we’ll put you up in a hotel on our dime. We want our customers to be comfortable and our technicians work hard to make that happen. When you’re ready to work with an air conditioning and heating contractor who is serious about their work call the experts at Switzerland Air. 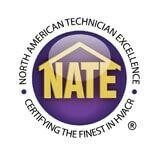 Our technicians are NATE certified which means they’ve passed extensive tests to make sure they’re proficient with all types of HVAC systems. They wear booties on their feet to protect your home from dirt. We also put down a red carpet on your floors so that our technicians don’t track any debris into your home. We are proud to offer a comprehensive maintenance plan for all AC units, heating systems, ducts and indoor air quality systems. Our maintenance plan includes 2 tune–ups per year, 15% off all service calls and priority service over non–maintenance plan members. It also gives you access to 24/7 repair services. If you want fast, high quality air conditioning and heating services, including air conditioning repairs in Lake Jackson, TX call Switzerland Air.